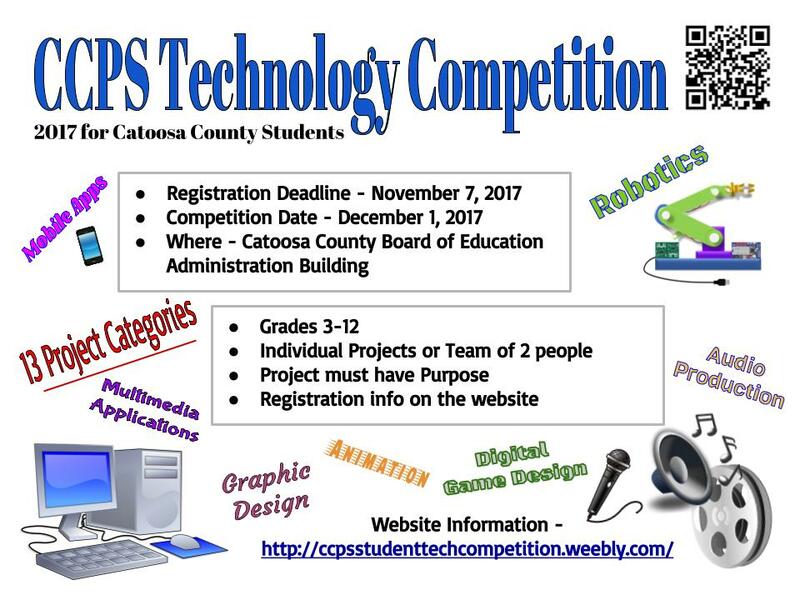 Plans are in place to hold the CCPS Technology Competition on Friday, December 1, 2017. The location of the event will be at the Catoosa County Board of Education Administrative Office. Students wishing to compete need to begin now planning their projects. Each project may be delivered by a single individual or a team of two people. If the team members are in different grades, the project must be entered into the age group for the oldest member of the team. Visit the CCPS Student Tech website to learn more about projects, view rubrics for each category, learn of details, and register.